The University has today (Tuesday 11 September 2018) announced the deployment of a world-class technology infrastructure with Cisco and ITGL. The result will mean a complete overhaul of the University’s network infrastructure with the introduction of an intent-based network that can uniquely understand, interpret and fulfil the needs of users, applications and devices connected to it. Intent-based networking provides a fundamentally different way of building and managing modern networks. As an integrated system, the network anticipates actions, is able to stop security threats in their tracks, and continues to learn, adapt and evolve. The University of Suffolk is deploying key elements of Cisco® intent-based networking technology, including Cisco Catalyst 9000 Switches to lay the foundation for advanced network management and security capability and Cisco DNA Center which will provide command and control through a ‘single pane of glass’ – with insight into users, devices and applications, wherever they are on the network. 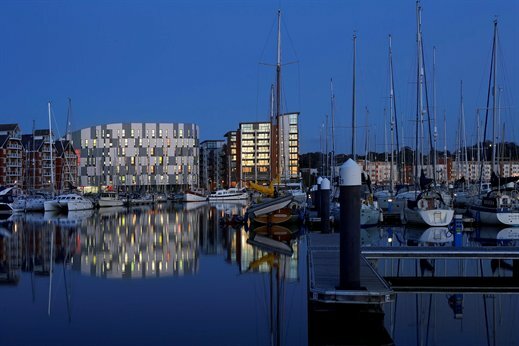 Deeply embedded in the local community, the University of Suffolk is also part of a Cisco-led project to bring together a consortium of government, academia and industry organisations to build connected communities. Initially in Suffolk, the project aims to create a viable business model to end digital exclusion in the UK.